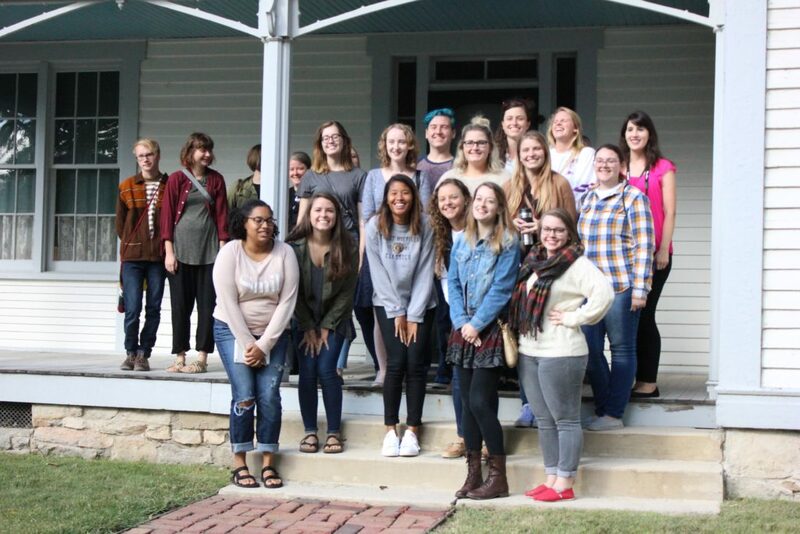 Truman students at the General Pershing Boyhood Home in Laclede, Missouri. Photo courtesy of Nala Turner. Generous funding from a School of Arts & Letters Mini-Grant and from the Friends of the Gallery fund of the University Art Gallery helped students in ART 428 Topics in Art History: Dada and World War I travel on Wednesday, September 28. Students visited the Gen. John J. Pershing Boyhood Home and State Historical Site in Laclede, MO, and the National World War I Museum and Memorial in Kansas City, MO. At both sites, students met with museum staff and visited these important museums and their collections; since students are working on a Spring 2017 exhibition, to be held in the University Art Gallery, which focuses on creative responses to World War I, the trip benefited not only their studies this semester, but also the Gallery show in the spring. Stay tuned for more on the students’ work in this class and on the show, entitled Arts Against the Great War. 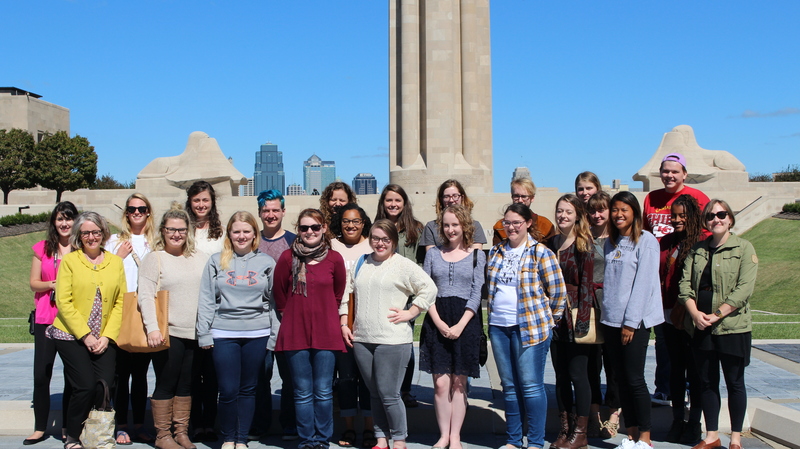 Truman students in front of the National World War I Memorial and Museum in Kansas City, MO.